Belvedere Designs: Ohio, Here We Come! Whew! We've just packed up and secured all of our business belongings into a big 22' moving truck and are headed out onto the open road. Northeast Ohio, here we come! Accordingly, our office will be closed from Friday, June 17th through Sunday, June 26th - it's a loooong drive and we need a couple days to get things set back up and running smoothly. All orders placed after 12pm PST Thursday June 16th will ship Monday June 27th and should arrive later that week. Unfortunately, this means that Expedited and Priority services will be suspended and all production activities will be on hold. But - we'll still be answering emails and helping you create fabulous designs. And we'll be checking our voicemail messages periodically so if you want to call, please do! Leave us your details and we'll get back to you as soon as we can (or when next we stop for gas and can find an Internet connection - ha!). That's all the big picture stuff. But if you're the kind of person who likes details, read on! I've got lots to share about why we've decided to embark on this next great adventure. Henderson, Nevada has been our WallQuotes.com hub and home for the last six years. We've had three offices in three locations (each bigger than the last), have worked with great employees, connected with fantastic customers, and had wonderful (if sometimes also hard) growing experiences here. Now, we're bidding a fond farewell to Nevada and are heading east. Jordan and I started this little company from scratch (and many many sleepless nights) ten years ago to pay our way through grad school and support our growing family. We're still paying for grad school (grimace) and still growing our family (grin) and have grown so much as entrepreneurs and business owners in the years since. But about a year and a half ago, we felt like we needed a change. We love running WallQuotes.com - our customers are fabulous, the atmosphere and opportunity for creative expression are nearly limitless, and the challenges keep us growing. But we also dreamed of having a small family farm and raising our kids in the country. Long story short, we found the perfect place, but it wasn't in the West as we anticipated, or even in Canada where I grew up on a cattle ranch myself. It's in northeast Ohio, a little south of Cleveland. And it's perfect. We moved our family out here last fall, anticipating that we would let our production facility continue humming along out in Nevada, work remotely, and fly back when needed. Turns out that wasn't such a great plan. We have a great crew, but to really be effective, we needed to be more hands on ourselves. 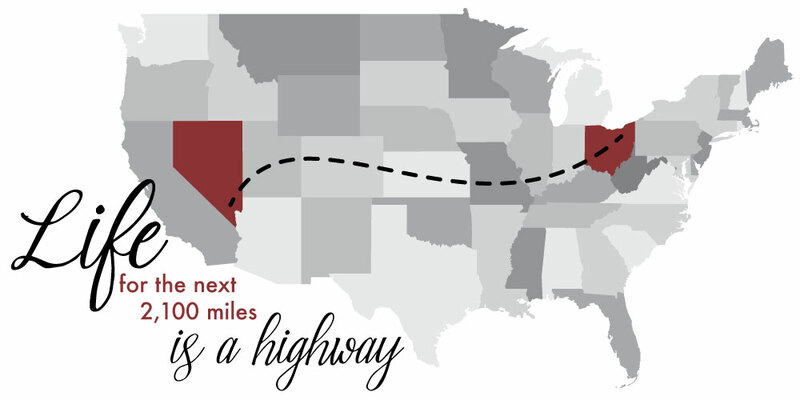 So we've made the plunge and in just a few more days we'll set up shop in Ohio. I love new beginnings. January and September are some of my favorite times of year (new year! new school year!) and we're really looking forward to this fresh start too. We have great plans for new designs, new features, and new ways to connect with our customers and help you make your space come alive. We love what we do and are so excited to put our years of experience, considerable talents, and fabulous design skills to work for you and your next project. Adventure is out there and we're always out to find it. Next stop in our journey: Ohio.